Gate Theatre’s [★★★☆☆] The Christians at Traverse Theatre seems confused, much like the divided church that lies at the centre of the narrative. 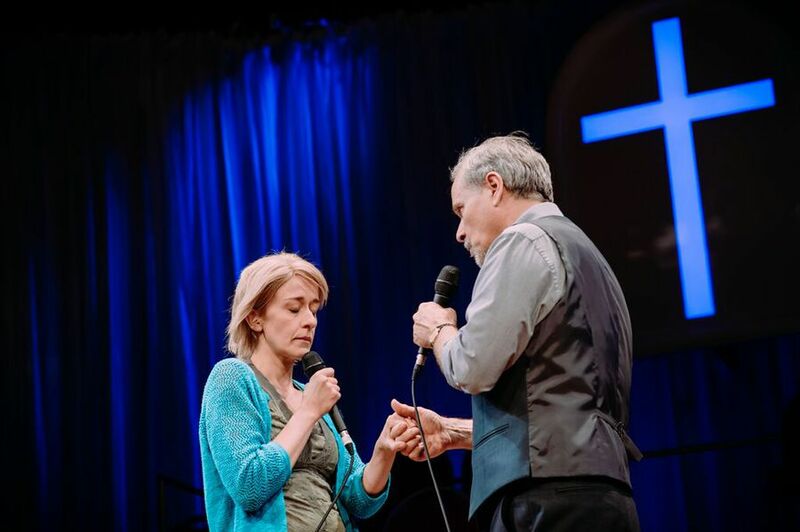 William Gaminara’s Pastor Paul tries to steer his church in a new direction, causing a schism through the congregation, the business and his own family. The only play with a cast big enough to fill Traverse One, The Christians brings a full church to the venue, including a community choir. Alongside this, all the lines are delivered sermon-like into microphones at the front of the stage. Its purpose – to really place us in this church – is clear but it hampers the narrative arc. Too much information and context must be told instead of shown; although the actors are engaging, the dialogue is funny and the questions it asks about faith and religion in the modern world are engaging, it falls down where it tries to be too clever. Another production clever in its staging is Tim Crouch’s An Oak Tree [★★★★☆]. Returning to the Traverse ten years after its premiere, the play works on one simple function: the second hand in this two-hander has neither seen nor read the play before it begins. It is very much a play about acting and directing, and more importantly about emotion. It could depend entirely on the talent of the second actor, and perhaps it does, but it feels like more than that. The script cleverly weaves the fictional narrative of a father alongside the narrative of what is happening onstage. 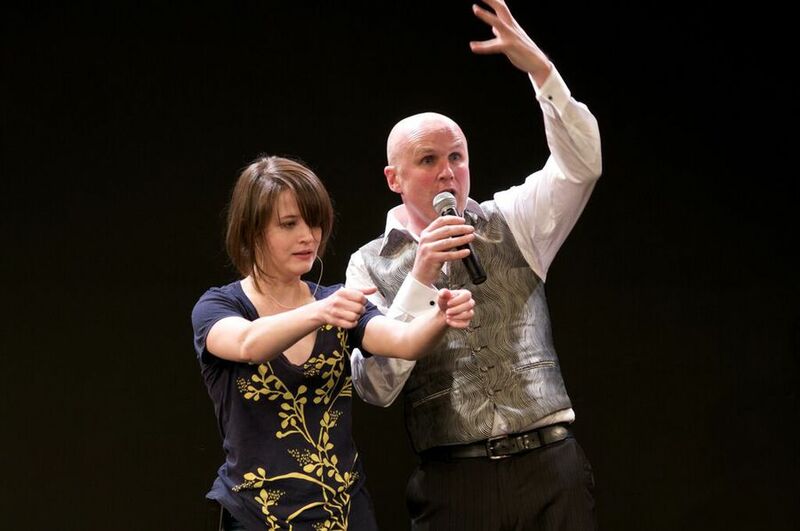 Aoife Duffin, second actor for only one performance, is visibly moved throughout and brings her emotion to the the part, while Tim Crouch facilitates. It is a carefully designed performance, but the parts that seem formulaic seem so intentionally, only there to facilitate the rest. 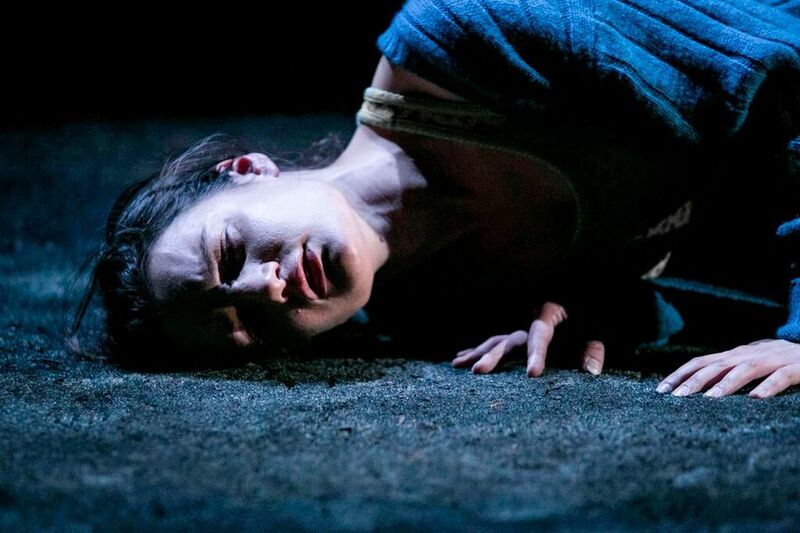 Aoife Duffin also shines in Corn Exchange’s A Girl is a Half-Formed Thing [★★★★☆]. The Traverse One stage is a big space to fill for a solo performer. Beckettian and Joycean influences are clear in Annie Ryan’s very close adaptation of Eimear McBride’s original text and carried through into the performance. Clever lighting makes Duffin look almost giant-esque as she enters the stage but even as the lighting normalises and we see her normal stature, she fills the stage with her presence. Not once faltering in her stream of consciousness, she flickers seamlessly from mother to child to grandfather, from baby to teen to young woman. On a sparse stage, Duffin carries the audience from her birth to the play's end and it is impossible to look away. Stef Smith, newly announced associate artist, penned Swallow [★★★★☆] for the Traverse’s own company. Three characters each facing a struggle, each on the brink of something life-changing, find themselves alongside each other, sometimes in spite of each other and definitely because of each other. Smith’s script is clever and modern, tearful and funny, but it is the three actors on stage who really bring the performance to life. Sharon Duncan-Brewster’s Sam is defiantly strong and statuesque; Anita Vettesse’s Rebecca’s self-depreciates and rages, fears and flirts and drinks, all with an honesty and openness. But it is Anna, played by Emily Wachter, who sparkles throughout in her lightness and darkness with incredibly physicality. A play that brings the importance of dancing (through the pain) to the forefront, music is central with a soundtrack worked on by LAWholt that places all aspects of this play, not just the text, right on the pulse.